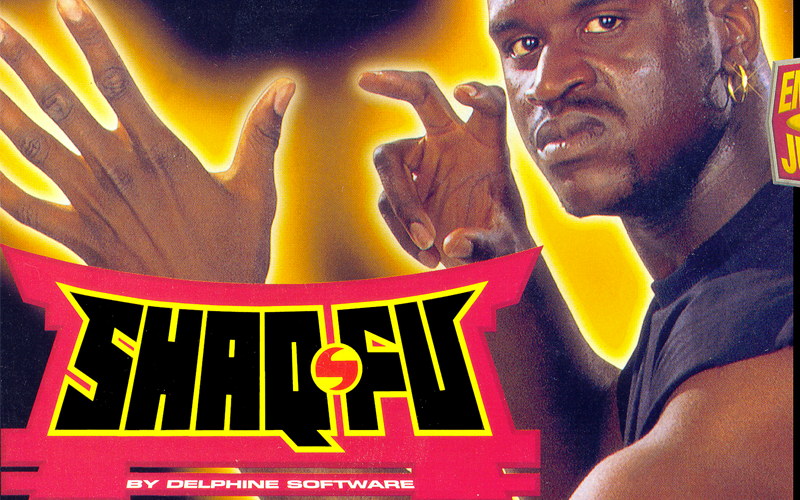 The ‘90s had a ton of video games endorsed by basketball celebrities. You’ve probably played Michael Jordan: Chaos in Windy City, Barkley: Shut Up and Jam, and Slam City with Scottie Pippen. But all those games featured something they didn’t actually need - basketball. Then came Shaq Fu. Shaq Fu was released in 1994 to mixed reviews. The problem was that some reviewers minds were literally blown out of their skulls due to the games amazing mix of martial arts, aliens and Shaq. There mindless scribbles were considered bad reviews, but most fans knew otherwise. You probably didn’t even know you could acquire Shaq Fu on floppy disk. Well, you can! And while that’s a cool collector’s item it also means you’re constantly switching discs. Also, the graphics were butts. Holy windmill dunks! A portable Shaq Fu was every child’s dream in the ‘90s and they got their wish with the Game Boy release. Unfortunately the Game Boy only featured like six colors and two buttons, so... it wasn’t exactly the ideal portable version. That’s... better... I guess. Even Shaq looks surprised up there in the corner. Probably from all the colors. On a handheld no less! If your family could afford the thousands of batteries used to power the Game Gear than Shaq Fu was a must have. The SENS version comes in second due to it being a chump with less content. It’s still a fantastic fighting title, but come on. Give us the goods, Big N.
Vin Diesel is in this too?! Five more fighters. Three more stages. A longer story mode. The Genesis version of Shaq Fu is the one that every player should have in their collection. It’s Shaq at his Shaq-iest, with more Kung Fu then you’re likely able to handle. GET SOME. Which Shaq Fu title touched you life in the most significant way? Leave your emotional stories of heroism and redemption in the comments.